Running schedule of the weekly Durga Puja and Diwali Festivals Special Train 2014 from Howrah to Lokmanya Tilak Terminus (via Mughal Sarai): Train will leave Howrah at 08.15 hrs. 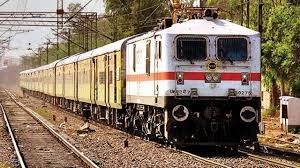 on every Tuesday from 30/09/2014 to 28/10/2014 i.e., 30/09,07/10,14/10, 21/10 and 28/10/2014 (05 trips).Train will reach at Lokmanya Tilak Terminus at 00.20 hrs. on the third day(Thursday). 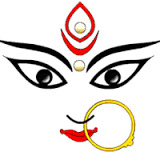 Running schedule of the weekly Durga Puja and Diwali Festivals Special Train 2014 from Lokmanya Tilak Terminus to Howrah : Train will leave Lokmanya Tilak Terminus at 13.20 hrs. on every Thursday from 02/10/2014 to 30/10/2014 i.e.,02/10,09/10,16/10, 23/10 and 30/10/2014 (05 trips).Train will reach at Howrah at 03.30 hrs. on the third day (Satuirday). Train No. 03061 / 03062 Howrah - Lokmanya Tilak Terminus – Howrah (via Mughal Sarai) Weekly Durga Puja and Diwali Festivals Special Train 2014 will stop at the following stations also : Koderma, Gaya Jn.,Dehri On Son, Sasaram, Chheoki, Manikpur, Satna, Maihar, Katni, Narsinghpur, Itarsi Jn., Khandwa, Bhusval Jn., Jalgaon, Manmad,Igatpuri and Kalyan Jn. stations in both the directions. Composition Train No. 03061 / 03062 Howrah - Lokmanya Tilak Terminus – Howrah (via Mughal Sarai) Weekly Durga Puja and Diwali Festivals Special Train 2014 : One AC – 2 – tier , two AC – 3 – tier, ten Sleeper Class, three General Second Class and two SLR / SLRD coaches. Booking: Booking for Train No. 03061 is open.TATKAL facility will also be available.